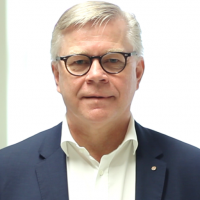 On World COPD Day, Professor Jørgen Vestbo reflects on the status and management of chronic obstructive pulmonary disease (COPD) and reminds us that we shouldn’t overlook this devastating disease. COPD is one of the leading causes of death and a major reason for the NHS “bed crisis” every winter in the UK. The disease ranges from mild shortness of breath on exertion in the young or middle-aged smoker, to life-threatening disease involving multiple hospital admissions and home ventilator treatment in those most severely affected. The disease is often managed with inhaled therapies and frequently patients end up being treated with multiple inhalers, sometimes with adverse effects. At Manchester BRC our P4 medicine strategy is working towards earlier COPD diagnosis and a more targeted approach that will match an individual to the treatment most likely to work for them. It’s very timely that the Global Initiative for Chronic Obstructive Lung Disease (GOLD) has recently issued its 2019 update on their COPD Strategy Document that updates the management of patients with COPD. This document which is updated annually to reflect the latest evidence for the diagnosis and management of the disease was first published in 2001 and has contributed extraordinarily to the rise in awareness of the prevalence and burden of the disease. Professor Dave Singh, my COPD Programme Co-Lead and I are proud to be members of the GOLD Scientific Committee and involved in the updates of the document. We are very happy that the GOLD document this year moves yet another step to more personalised treatment of COPD using both clinical characteristics of the patient and blood eosinophils to guide the most optimal treatment combination. Hopefully, this will lead to simpler, cheaper, more effective treatment with fewer side effects. There will, however, still be a need for more improvements and it is our hope that the research carried out in Manchester will continue to contribute to progress in this area. Hopefully, COPD will then be a less overlooked disease with better treatments, and with access to research funding to a degree that we see for other major disease areas such as cancer and cardiovascular disease.